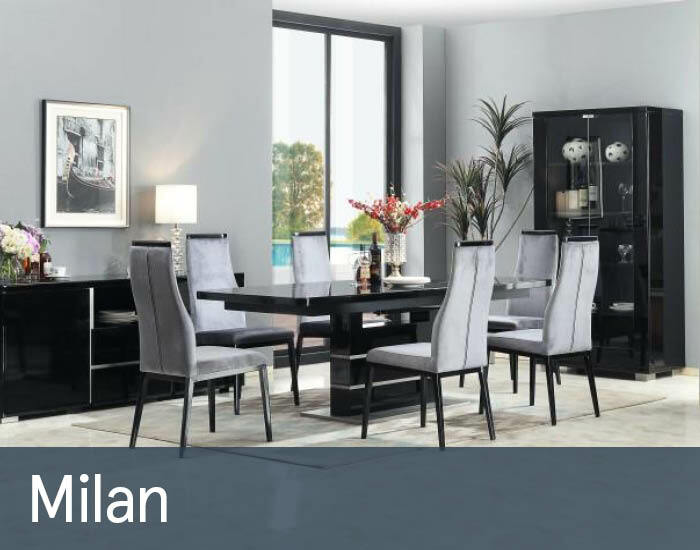 Milan is a sophisticated collection of contemporary black high gloss cabinet furniture that will enhance any discerning living space. Expertly crafted using only the finest materials, its sleek tapered lines offer innovative storage, display and dining functionality. Subtle rounded edges plus tempered glass surfaces ensure everyday practicality.